Thousands of out-of-state drivers pass through the Commonwealth of Virginia for business or pleasure on a regular basis. Some of these individuals have the misfortune of being charged with a traffic violation while in the Commonwealth. Many of these same people decide not to pursue any defense, but this could have dire long-term consequences. One of the reasons for this is that the laws of the Commonwealth of Virginia are amongst the strictest in the nation, including criminal convictions for reckless driving. A person may receive a ticket and may not realize the impact that this will have. By failing to defend against this charge, he or she could be burdened with a criminal conviction and the severe penalties that come with such conviction. Increased insurance costs or a drop of coverage after conviction. Many drivers presume that the consequences will not be severe as they are in another state, and there are limited times in which they might need to be back in the Commonwealth of Virginia. However, there is an Interstate Driver License Compact, in which states across the country agree to share information about traffic violations and the suspension of driving privileges. The only states that do not participate in the Compact are Georgia, Massachusetts, Michigan, and Tennessee. As part of this Compact, the state in which the driver lives may treat the Virginia traffic violation as if it occurred in the driver’s home state, thereby imposing the penalties against the driver. 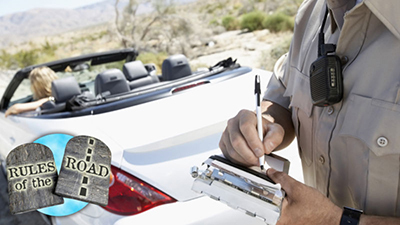 An experienced Virginia traffic violation attorney can represent an out-of-state driver’s interests during any criminal proceedings so that the person does not have to travel back to the Commonwealth to defend his or her rights. Depending on the circumstances, it may be necessary for the driver to appear at some point, but a skilled attorney may be able to discover evidence that makes the case unsustainable, or at least difficult to bring to a successful conclusion for the prosecutor, leading to a negotiated reduction in the charges or a dismissal of the case. The defense may be based on improper calibration of the officer’s equipment used to measure speed, a failure to properly document the traffic violation, or any other number of defenses, including lack of probable cause for making the traffic stop initially, depending on the nature of the reckless driving. The essential thing to remember is that it is important to act quickly to find a skilled Virginia traffic violation defense attorney if you are an out-of-state driver who has received a traffic violation while traveling through the Commonwealth.